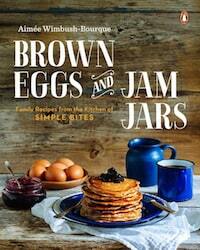 If you ever dream of owning acres of land—or even a small plot of backyard to call your own—you’ll be charmed, captivated, and motivated to make that dream a reality with the new book Brown Eggs and Jam Jars: Family Recipes from the Kitchen of Simple Bites by Aimée Wimbush-Bourque. Brown Eggs and Jam Jars is the director’s cut version of the stories she tells on Simple Bites, taking a deep dive into every aspect of her world and her journey. Aimée peppers the book with Canadian specialties like pouding chomeur, a stir-together cake batter that becomes the base of a bubbly sticky maple blueberry pudding, or a riff on classic Canadian butter tarts, spruced up with more maple and a handful of pecans. (Aimée and I share a deep, all-consuming love for maple, if you can’t tell… see the recipe and project below.) Her tourtière, a hearty meat pie enveloped in flaky crust, is a recipe I pledge to tackle before spring arrives. With three kids who pitch in and embrace cooking and gardening tasks, it’s no surprise that Aimee has filled Brown Eggs and Jam Jars with sidebars and notes for involving children in the kitchen. But you don’t even need land or kids to take advantage of the recipes in the book. 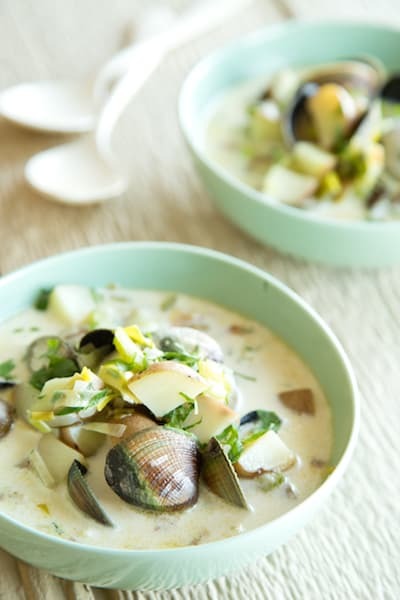 Clara’s Clam Chowder, a recipe named for Aimée’s daughter, is just as satisfying for the wife who loves bivalves while her husband refuses both seafood and soup. Fragrant with leeks and a bay leaf, it makes a luxurious solo meal that, frankly, I’m happy not to share with anyone else. 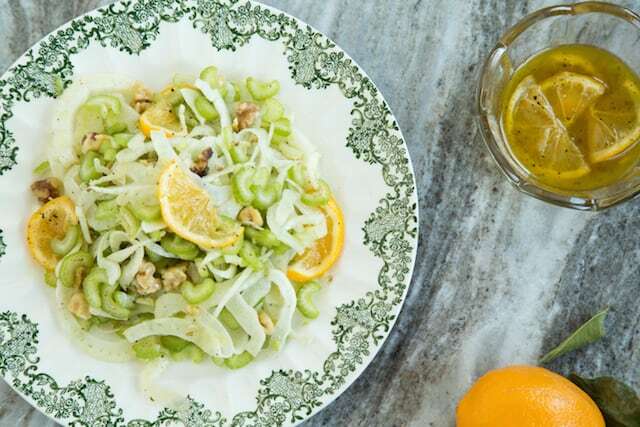 Seasonal recipes throughout the book, like a crunchy throw-together raw fennel and celery salad with peppery Meyer lemon dressing, play equally well as large dishes for parties or just for quick meals that taste way more deluxe than the effort actually put forth to make them. With Aimée’s recipes, you can be sure that they will work, but they won’t be hard work to pull together. For me, the most inspiring aspect of Brown Eggs and Jam Jars is its encouragement to use what you got, then get out and enjoy it in nature as often as possible. Camping, grilling, outdoor dinners, harvest gatherings, apple picking—it’s hard not to lace up my hiking boots and make a backpacker’s banh mi this very minute. And, in the winter, taking advantage of all that snow we’ve been so fricking blessed with in the Northeast. Thanks to Aimée, I finally went forth and tried my hand at something I’ve wanted to do ever since I read Little House on the Prairie in kindergarten: make maple snow taffy. Guess what? It’s crazy fun and crazy simple, as long as you have a candy thermometer to get the maple syrup to the right temperature for setting up on the snow. Grab a digital version so you can be sure you’re heating it to the right temperature, then give it a go right after the next snowfall. The roasted peach barbecue sauce from the book will have to wait a few more months; this is what I’m making right now. Have a clean swath of fresh packed snow, a handful of popsicle sticks, and a ladle at the ready. 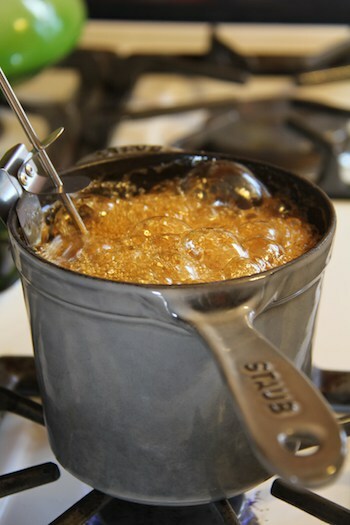 Pour the maple syrup into a heavy-bottomed, high-sided 2-quart saucepan. Make sure your pot is larger than you think you’ll need, because the maple syrup will start to bubble and foam ferociously as it heats, and you don’t want it to boil over. Remove the candy thermometer and immediately take the syrup out to the snow. The syrup will rise a few more degrees in temperature even off heat. 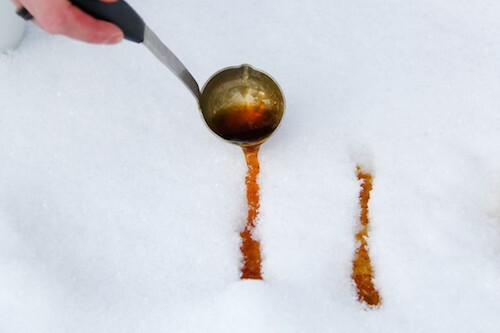 Ladle the syrup onto the snow in a line, as Aimee says, about the length and width of a butter knife. It will immediately start cooling and hardening into taffy, so grab a popsicle stick. Press one end of the popsicle stick across one end of the taffy and gently but quickly roll the taffy onto the stick, lifting it out of the snow as you go. Repeat with the remaining syrup. Eat the taffy sticks immediately, or place them on a plate or baking sheet lined with waxed paper and refrigerate for a few hours, though it won’t be half as fun as eating them on the spot right off the snow.